The Avianca LifeMiles program is not extremely generous on its own. Sure, it doesn’t add any fuel surcharges to its flights or any of its partners’, and yes, it used to allow you to game the living hell out of it, but it doesn’t offer any truly outsized values, and Avianca miles were not too easy to get. Sure, there is a credit card, but it costs $140 and it’s reportedly a mess. All the above are the reasons why I haven’t been especially interested in Avianca. Then a few things have happened. 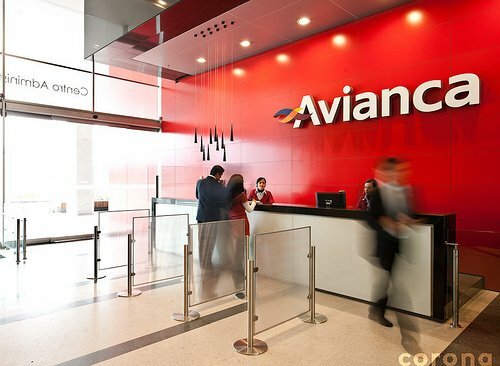 American Express and Citi have added Avianca as their transfer partner. Citi ThankYou is running a 25% transfer bonus to Avianca LifeMiles. And Avianca is currently running its own awardsalefor its Star Alliance Asian airline partners. Combined, the latest 2 promotions are creating an incredible, what I call unicorn-grade, value. 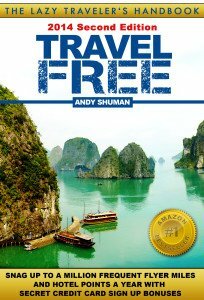 If you’re interested in traveling in premium classes, especially to Asia, you owe it to yourself to at least look into this opportunity. 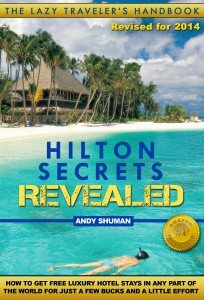 In my previous installments, I attempted to make the case why you should take Citi and Avianca up on their offers. This post will answer a few more questions: what to expect, how to book, and, most importantly, what to do when things don’t fall into place. When you’re looking for a simple itinerary, start with United. Find an award in the United calendar first, then try to recreate the same award on the Avianca website. Will you always be able to find it? No, and not just because of the phantom award space, which is a known United problem. In my experience, not all flights found on the United website will show on Avianca’s and vice versa. Still, in many cases they do. 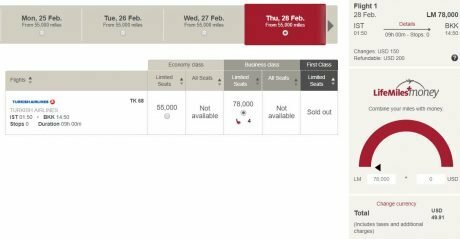 Avianca LifeMiles Award booking: The Good! OK, let’s get the worst LifeMiles bug/feature out of the way, so you can decide whether or not you even want to deal with this program. 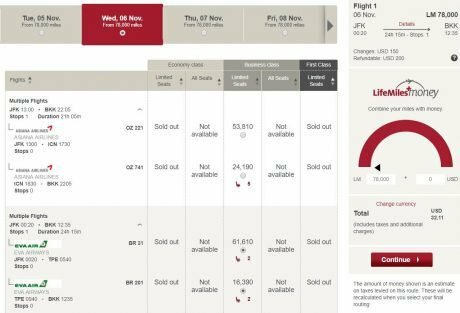 Avianca’s award booking engine is horrible for connecting flights! It will show you some connections, but not the others, even though they are available for each segment. In addition, a connecting flight might completely exclude one class of travel – for example, when you look for 2 segments individually, all classes of service may be available, but when you look for the combined itinerary, Economy Class will be out. There doesn’t seem any norm or reason to it, and it’s not the case all the time either. In addition, searching for flights with connections between different regions can return an error if you want to route it a certain way. Here is what I mean. Or perhaps, you just want to squeeze another city into your itinerary. I did a long layover in Dubai on my way to Bangkok and really enjoy it. 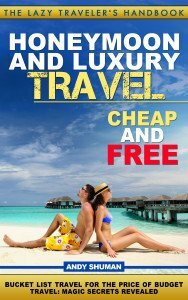 Why not fly into Istanbul, for example, get a free tour of the city, spend some quality time at the awesome Turkish lounge before taking a red light to Bangkok? You should be able to do that because Turkish is a Star Alliance airline, and your layover at IST would be less than 24 hours. Let’s see. New York to Istanbul is available. Check! Istanbul to Bangkok is available too. Check! So, both flights are available on Turkish, and all we need to do is fill the information and click, right? You might think, maybe Avianca doesn’t allow flying to Asia via Europe. Many if not most airlines have certain routing restrictions, ANA for example. But… nope! As you can see, it’s not against the program’s rule to redeem an award to Asia via Europe, and there is a workaround that would allow you to get the routing you want (later about that). Screenshot everything and write down the confirmation number. Ticketing can take anything from a few minutes to a couple of days. Make sure you check your credit card authorization, and whether or not your miles have been deducted from your account. If so, you should be fine. 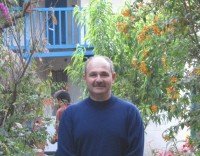 There is a possibility that you get connected to a competent agent, but it’s not a given. Not only might Avianca agents be clueless even with a simple award, they might have considerable language issues as well. If you can build your itinerary without calling Avianca, do so. If you can’t, prepare yourself mentally for multiple HUCAs (hang up and call again). As I’ve mentioned before, there is a way to book the award you want with the routing you want, but it’s a little bit convoluted, and it may not work out 100% of the time. Book your award by sending Avianca an email. Actually 2 emails, as outlined in this Flyertalk Wiki. So, on a date you are looking for in the future, there is availability for LAX-NRT and NRT-BKK. But not LAX-NRT-BKK. It may be a case of the LM system not offering the through connection. Take three screen shots – two ‘available’ screen shots for LAX-NRT and NRT-BKK and the ‘not available’ screen for LAX-BKK. 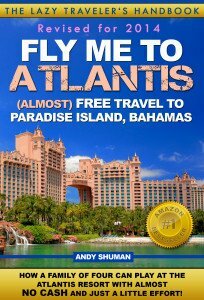 Send them all off with a scan of your passport page (PDF) and LM will make the booking manually for you. Obviously, there are risks involved. First, that your flights will not be available by the time Avianca gets to work on your request. And second, your itinerary may not work because the computer still says no. Which means: give yourself plenty of time and don’t use this method when your travel dates are approaching. 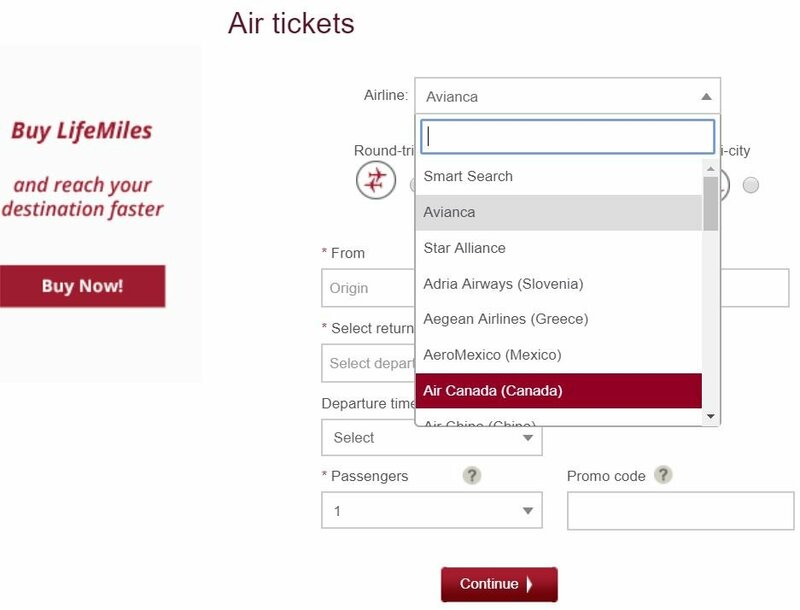 Avianca LifeMiles has become a super-relevant Star Alliance program, due to the ability to transfer points from AMEX Membership Rewards and Citi ThankYou programs. Avianca LifeMiles allows one-way booking and doesn’t have close-in award booking fees. On the negative side, your connection options are limited when booking online, and some Avianca call centers agents might be inadequately trained and have language barriers. There is a workaround to the connections issue, like the screenshot method outlined above, but it might require that you work harder for your award. What’s the best Avianca LifeMiles award you’ve ever booked? another great post andy. im loving these in-depth posts on avianca. definitely gonna transfer over a good chunk of citi typ’s to avianca before the transfer bonus ends. 1. How long does it normally take avianca to process email booking requests. any sense of what percentage of time even the email agents can’t process what should be a valid booking? 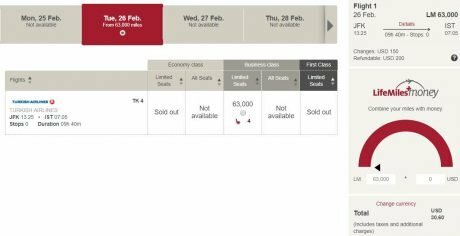 2. is the asia sale for economy flights as well? 1. Usually up to 3 days, but delays happen. 2. Yes, check my previous post. 3. Yes, but I keep finding great values that don’t make any sense (but I’ll take them, anyway 🙂 ). I might write a “bonus” post on it. Sure, happens all the time. You need to shoot them an email with the screenshots that show award space on both flights — then cross your fingers that your seats are still available when they get to it. Thank you! Most of the time with Lufthansa from US to Europe is stuff to wait but may be best to search separate segments and pay for both but then I realized that you can only do Roundtrip with a multi segment search!! Do you know of a way out of doing a Roundtrip? Thanks again! You don’t need RT or multi-city. Just find 2 segments separately, from the US to FRA and FRA to LHR. Make screenshots showing availability and email them to the address in the post. I would book 2 one-ways rather than a RT. Just check the post again. it has the instructions.